Kate combines energy/bodywork, activations and attunements as part of her therapeutic and coaching services. Polarity therapy is a powerful hands on bodywork modality that combines western healing techniques (chiropractic, osteopathy, naturopathy, cranio – sacral therapy) with ancient healing systems (Indian aryuveda, reflexology, yoga). It helps clear and balance the life energies/chakras, regulate the nervous system, and bring alignment of body, mind and spirit. In polarity therapy, the body is seen as pulsating energy, a system of electro-magnetic currents and specific energy frequencies known as the 5 elements- earth, water, fire, air and ether. When a person is out of balance, in pain, under stress, in a state of dis-ease, these vital energy currents become blocked. The polarity therapist works to clear and balance these currents, linking the body’s inner dynamic energy centers (chakras) to pressure sensitive points on the body, using the gentle polarized energy of the hands to reconnect the client with their own life force and inner rhythm. Deep healing, relaxation, rejuvenation and balance are facilitated on all levels: physical, emotional, mental and spiritual. 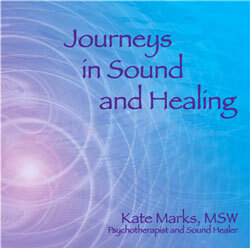 Kate was trained in Polarity therapy in the early 1970’s, by Dr. Randolph Stone. its founder, and later with other teachers. She has the highest level of certification as an RPP, Registered Polarity Practitioner. Kate is a Reiki Master. She accesses the Reiki healing energies and attunements in her therapy and coaching sessions in conjunction with other healing modalities either in person or long distance. Founded by Dr. Mikao Usui in Japan in the 19th century, this Reiki healing method has been handed down through a lineage of masters and spread all over the world. The pineal gland, or third eye, is located deep in the geometric center of the brain in a location which correlates with that of the Great Pyramid in the center of the physical planet. The pineal gland is seen as the bridge between the physical and subtle worlds, and is associated with the sixth chakra. The medulla – pineal activation increases our psychic awareness and connection to our soul and higher self, It raises our frequency, helps with healing and DNA reconnection and accelerates our evolution, catalyzing our transformation into crystalline rather than carbon based beings.. This activation is more powerful done in person, but can also be done long distance. It can be combined with sound and other energy bodywork, or stand alone. It can also be offered in a workshop format. The Vagus nerve is located below the ear near the carotid artery. It is the longest cranial nerve in the body. It goes through the whole body and through 5 of the 7 chakras, and provides an energetic interface with the world to help us adapt and find balance. It connects us with universal energy and our ability to be empathic and telepathic. It is the nerve of compassion and feeling. It helps us to slow down and re-balance the parasympathetic nervous system. By activating and stimulating the vagas nerve, we can control our autonomic nervous system, harmonize our cycles, reduce stress and inflammation, increase oxitosin, control our heartbeat and move into an alpha state of high creativity and deep relaxation. It can be combined with sound, other energy bodywork, or stand alone. It can also be offered in a workshop format.